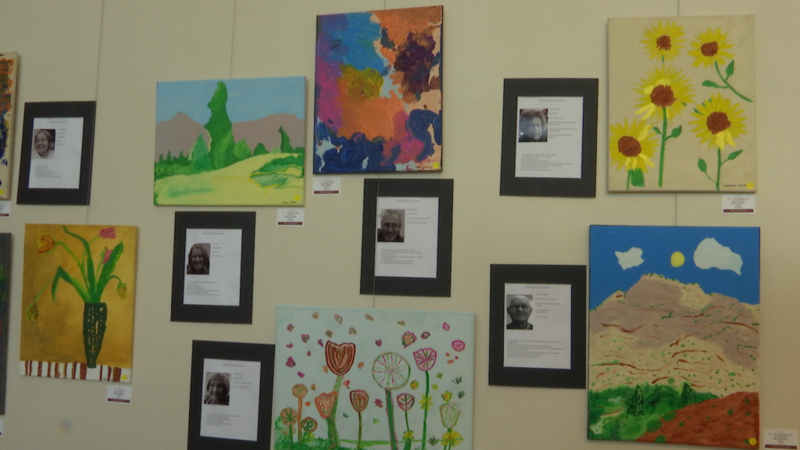 ST. GEORGE — The fruits of a therapeutic program involving the artwork of dementia and Alzheimer’s patients are on display through mid-April for public viewing at the Red Cliffs Gallery in St. George. Memory Matters, a nonprofit organization supporting seniors with dementia illnesses and their caregivers, runs a weekly “Fun Art” program at assisted living facilities throughout Washington County. The program is directed by Harold Tanner with the assistance of volunteers helping as many as 75 patients through the medium of art. “In research they have found that Alzheimer’s does not affect the creative brain cells,” Tanner said. Patients dive into the artwork seemingly unhindered by their cognitive impairment. Tanner noted that patients often fall into deep bouts of depression, irritability and anxiety due to frustration with the profound effects of memory loss. The turnaround after a Fun Art session is remarkable, he said, explaining how one patient who is otherwise ill-tempered is able to speak with family coherently after participating in the art program. One woman who Tanner said is constantly anxious and down on herself finally showed positive emotion when she saw her artwork to completion. The program runs entirely on the work of volunteers and donations to Memory Matters for the art supplies. 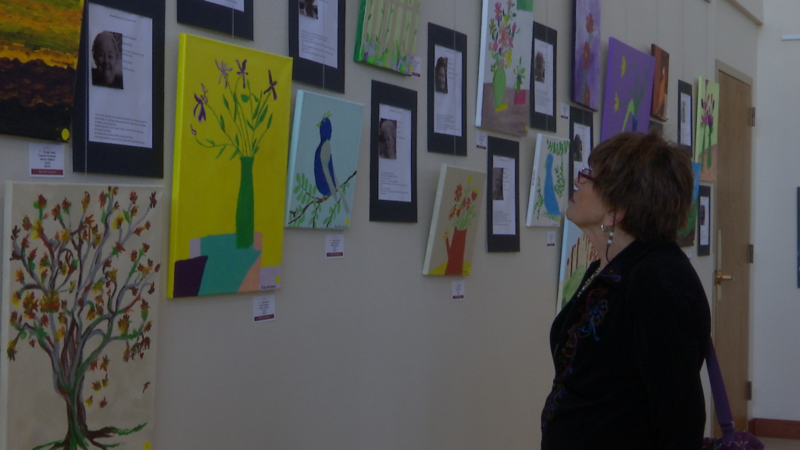 All of the paintings on the Fun Art display are available for purchase for between $50 and $150 with the proceeds going to Memory Matters to fund future programs. The paintings are all personalized with a bio next to each piece describing how each patient was positively affected by the program. 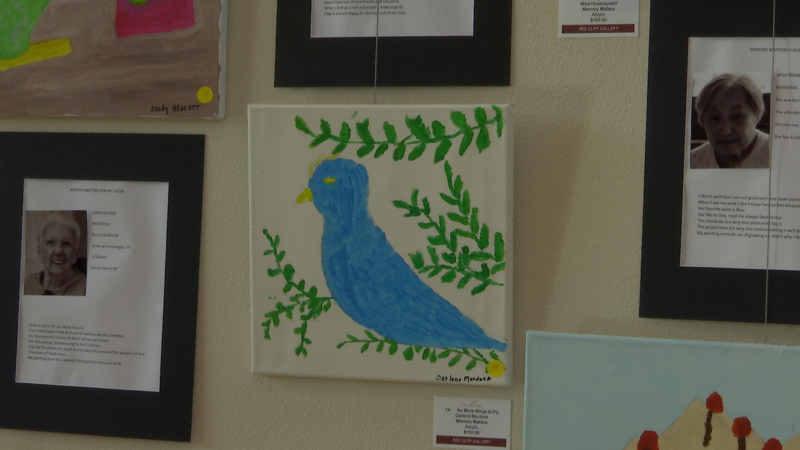 One patient, John Macumber, said he felt a connection to his father through his art. While none of the patients are trained artists, Tanner said, their ability to put paint to canvas in a meaningful way brings a sense of control to their lives. The display is part of Red Cliffs Gallery’s greater “Spring Forward” art show featuring approximately 100 works of art from nearly 40 Southern Utah artists. It showcases many forms of art, including painting, mixed media, photography, pottery and sculpture. “We really enjoy the opportunity to bring their work in with our work. 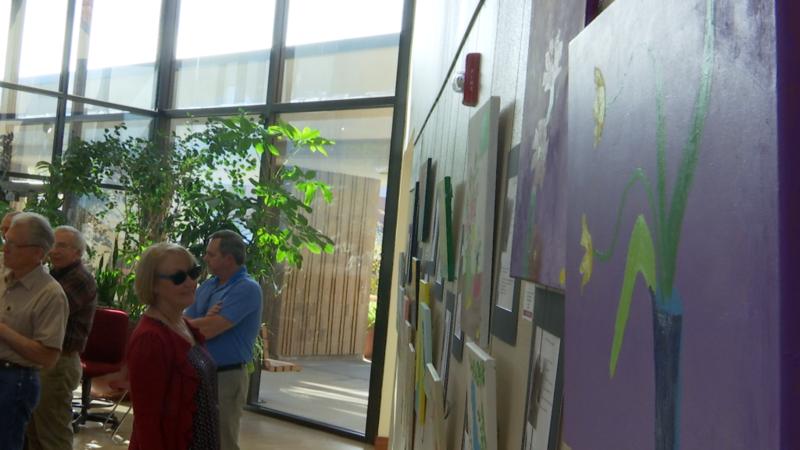 We want to support the arts across from the youth to the elderly,” Michael Foot, president of the Southern Utah Art Guild, said. 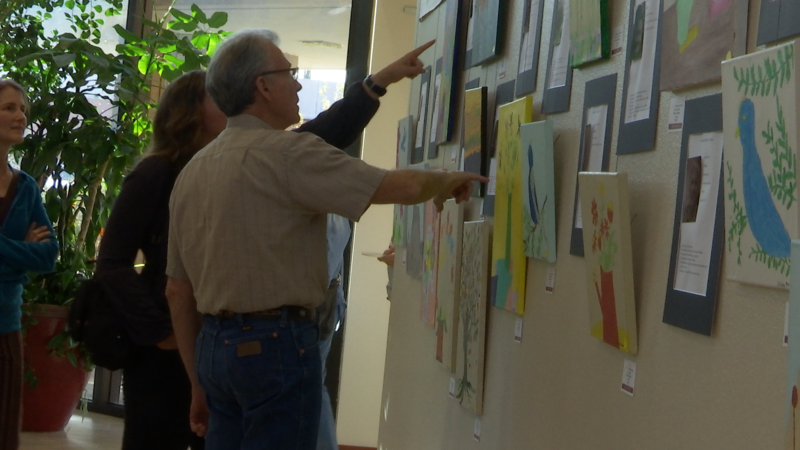 What: Southern Utah Art Guild’s “Spring Forward” art show. When: Friday, March 3, to Saturday, April 15, Mondays through Saturdays, 10 a.m. to 5 p.m.
Where: Red Cliffs Gallery in the St. George City Commons building, 220 N. 200 East, St. George. Cost: Free. All artwork is for sale.